I’ve been writing for as long as I can remember, longer if the evidence of the packing crates I scribbled on in my infancy is anything to go by. Since the late 1980s I’ve been turning words into daily bread. Many of them exist in hard copy form on actual pieces of paper, but this website showcases a selection from the digital age including interviews with household names from Al Pacino, Johnny Depp, Paul Weller and Roger Daltrey, to Smokey Robinson, Debbie Harry, Tony Benn and Johnny Marr; as well as a host of reviews, human interest features and a range of pieces about my home county of Dorset – a constant source of inspiration. 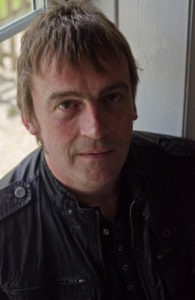 I’ve also written books, short stories, plays, artist biographies and speeches. As a commercial copywriter I have produced website content, production scripts, brochure copy and press releases and worked on digital media projects. A passion for words is only the beginning. If you need a writer who wants to be read then don’t hesitate get in touch and let’s see what we can do. 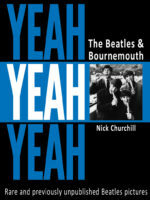 A comprehensive account of the many unexpected connections between the greatest rock ‘n’ roll group of them all and a small resort on the south coast of England, this unique book features many previously unpublished photographs of the Fab Four at the height of Beatlemania and is available at a special price direct from the publisher.